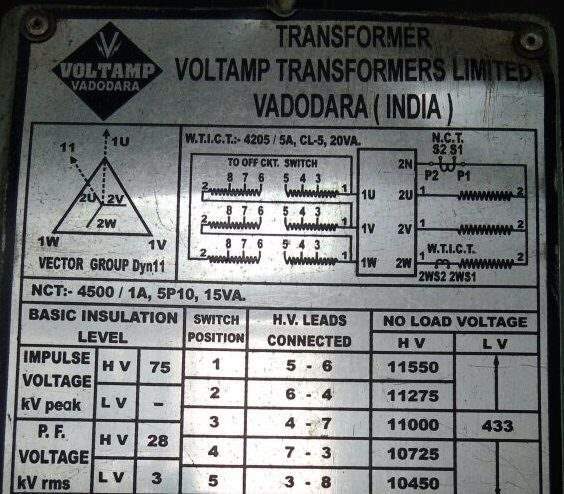 In this 11000/110 Volts means when the system voltage is 11000 then the output of the Potential transformer is 110 Volts (if you connect a PT in phase to phase connection). But in most of the cases we use PT connection as Phase to ground (single phase), hence we get the output voltage of 63.5 Volts. 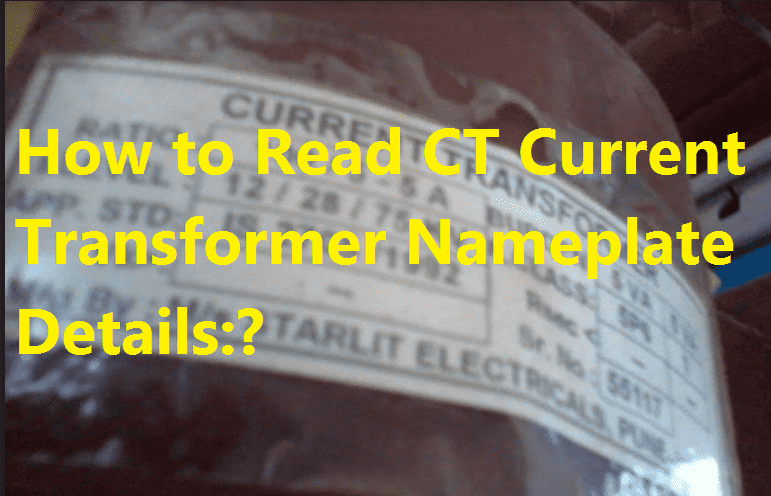 Generally, All the transformers rating is mentioned in VA. VA is nothing But Volt-Amp. That’s the full load capacity of the transformer. 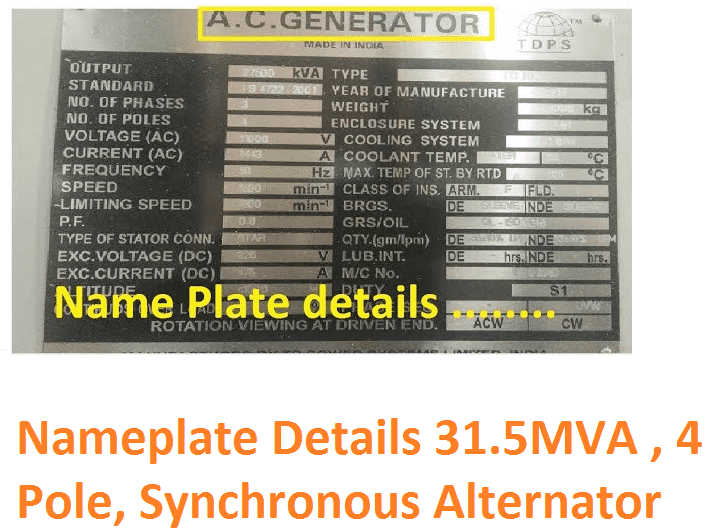 Example: Consider our PT nameplate image, there the PT burden is 50 VA, which means we can load the PT up to 50 Watts with unity power factor. 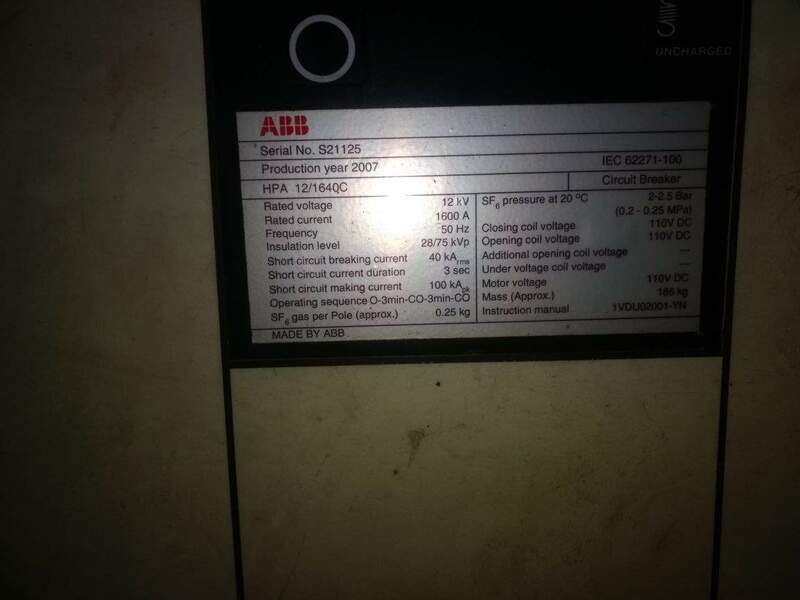 If you maintain power factor as 0.8 then you can load the same PT up to 40 Watts. In order to define the potential transformer output in VA, sum up the burdens absorbed by the equipments connected to the transformer, and the lead burden. lt is recommended to select the output rating as close as possible to, but higher than the calculated burden, since the characteristics regarding accuracy and safety factor might otherwise be modified. System voltage is the operating voltage of your system. That says about the phase to phase maximum voltage. The class is nothing but the accuracy of the output voltage. When you calibrate your PT with standard PT, then you will get the error value, which is called the class of your PT. It is mentioned in percentage. Here class 0.5 means 0.5%, you will get the error value of 0.005 Volts. Class only differentiate a PT is metering PT or Protection PT. Because of both the PTs are having their own manufacturing standard. Protection PT comes with the class if 5P10, 2P5 etc. The voltage factor is determined by the maximum operating voltage, which depends on the neutral system and the voltage transformer primary winding earthing conditions. 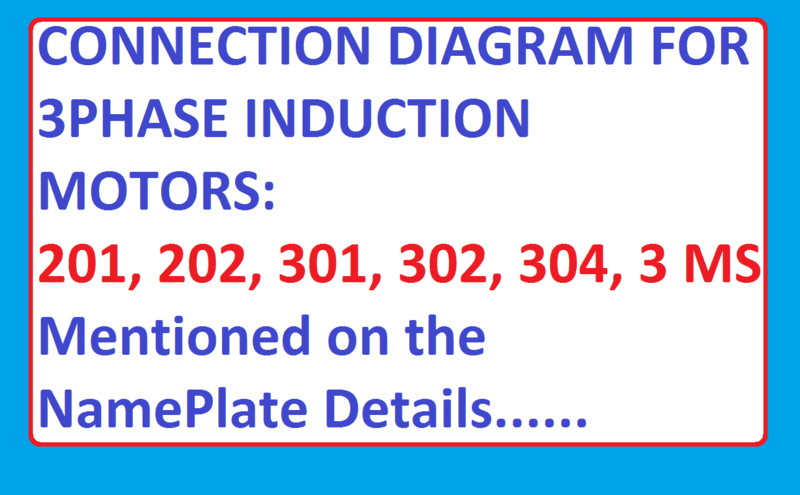 When the voltage transformer is connected between two phases, the voltage factor is 1.2Un continuous. – 1.9 Un for 30 s, in a non-effectively earthed neutral system with automatic earth-fault tripping. – 1.9 Un for 8 h, in an isolated neutral system, or in a resonant earthed system, without earth-fault tripping. One is 1.2 which means you can increase the bus voltage of phase to neutral upto 1.2 times (1.2 * 6.3 kV) for continuous, the PT works fine. But more than that limit PT may get damage. 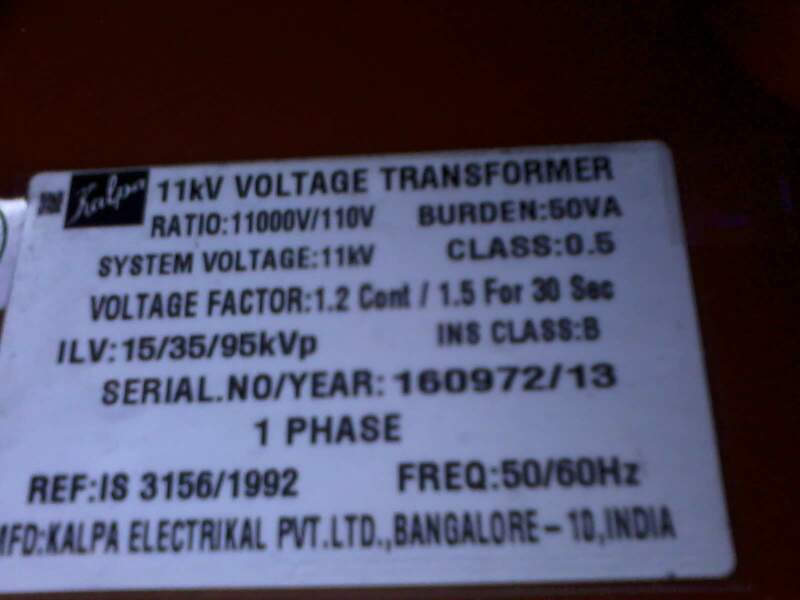 Another one is 1.5 which means you can increase the bus voltage of phase to natural upto 1.5 (1.5 *11 kV) Times for 30 sec. Note: this condition is only applicable only the PT should connect in Phase to natural. Insulation level test (ILV) is the PT insulation test parameter. It means the Temperature class of insulation. The permissible temperature rises over the specified ambient temperature. Typically, classes E, B and F. Here B means PT temperature can rise up to 135 deg. Beyond that limit the PT insulation May get damaged. 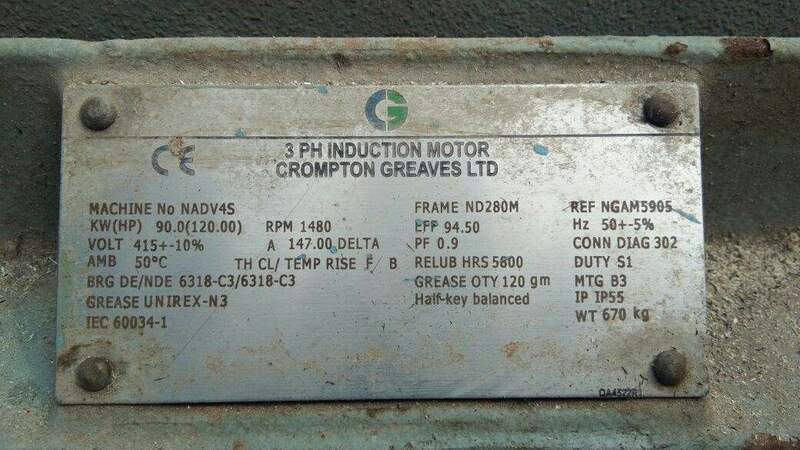 Here serial number is specified by the manufacturer for his reference, and the year for year of manufacturing. The Indian and international standard references for VT s..
Operating frequency of your PT.